As we approach the end of the work week, it’s nice to mentally hit the refresh button. 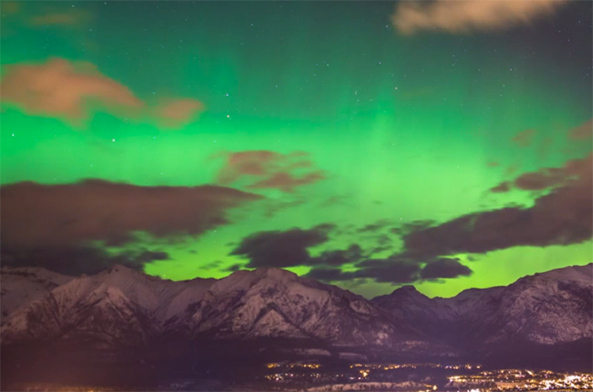 This beautiful new time-lapse from photographer Richard Gottardo is your ticket to just that. Gottardo spent 7 hours in Southern Alberta capturing this stunning collection of over 1,500 photographs of the northern lights shimmering over the Canadian Rockies near Banff. Sit back, relax, and enjoy the stunning beauty of the aurora borealis.